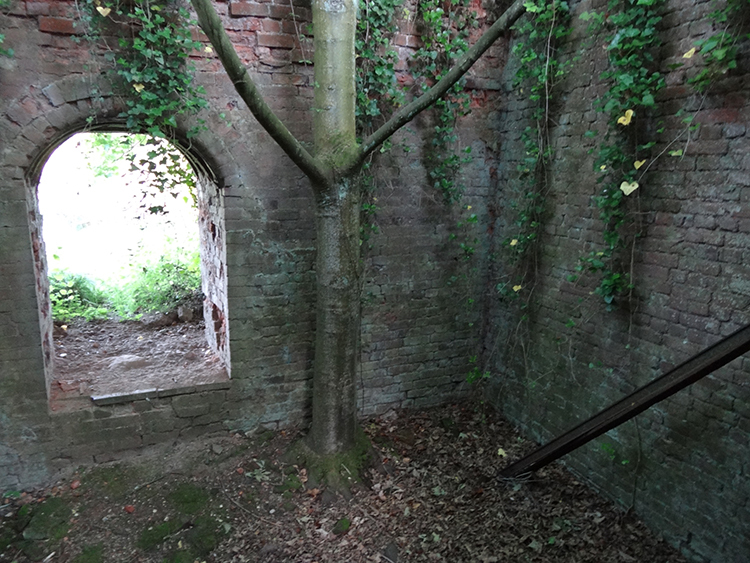 The last brick left in 1951, the site of the industry was never re-absorbed into agricultural use and lay fairly forgotten between the patchwork of fields. The brickyard history, like the location itself, is slightly lost to time. Bricks from Peterstone were used to build Holkham hall which puts the creation of the brickyard at pre 1734. 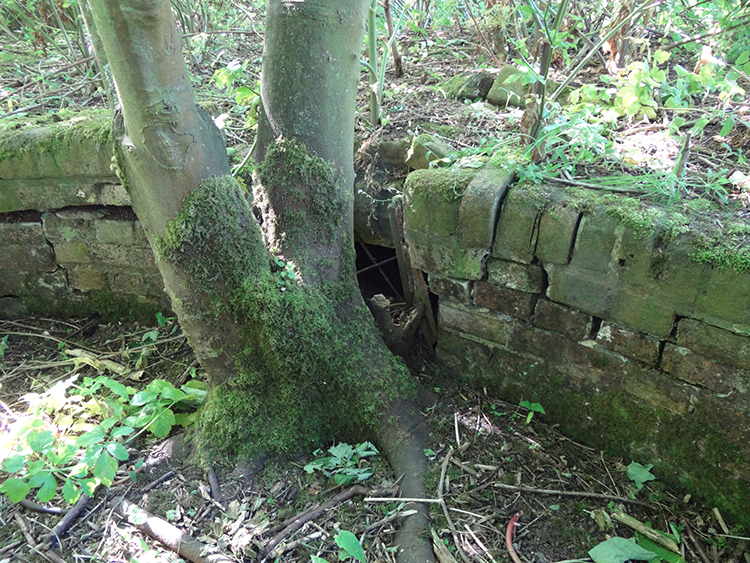 There were other kilns built on site which have long since vanished. 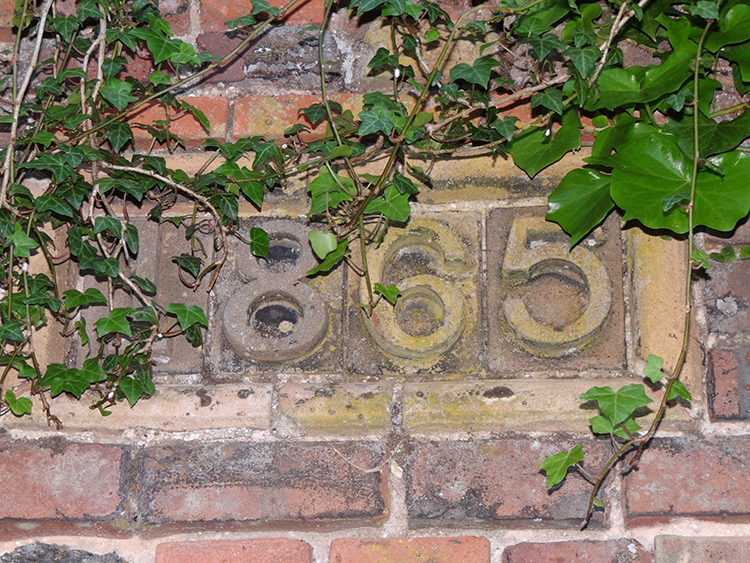 The date in the wall of the remains of the most recent kiln, is 1865 which was the last year of the American civil war. 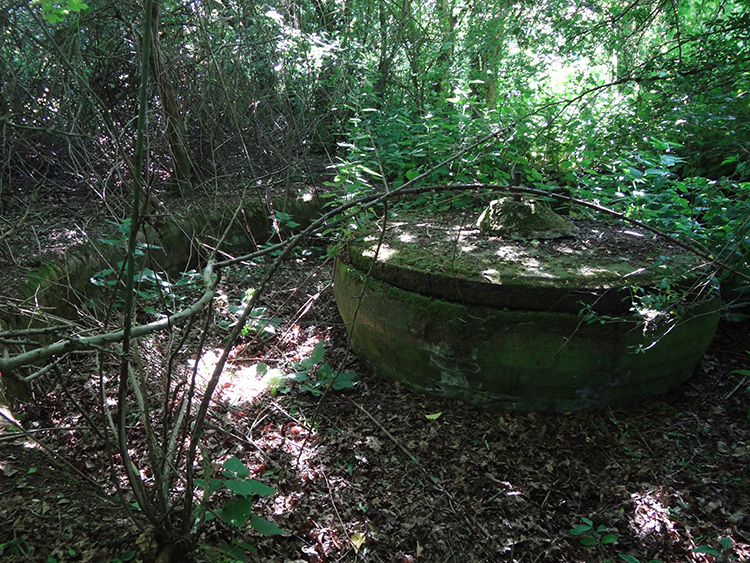 That kiln was used until the last brick left the site in 1951. The kiln could hold roughly 30,000 bricks, it took 3 days to stack them in there, 2 days to get the kiln up to heat and 2 days to cool down enough to take the cooked bricks out. Flat out, the kiln could be fired every week. Although stacking the kiln was done by one man with two apprentices it took another 100 men to keep them supplied with wet bricks. 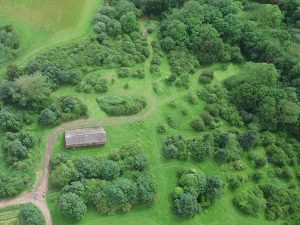 Clay was dug, by hand, out of the ground at Peterstone and carted by horse and cart to one of several “wash-pits”. The clay was washed in the pits to remove small stones. Once settled the washed clay had to be moved to a drying pile before it was dry enough to mould. 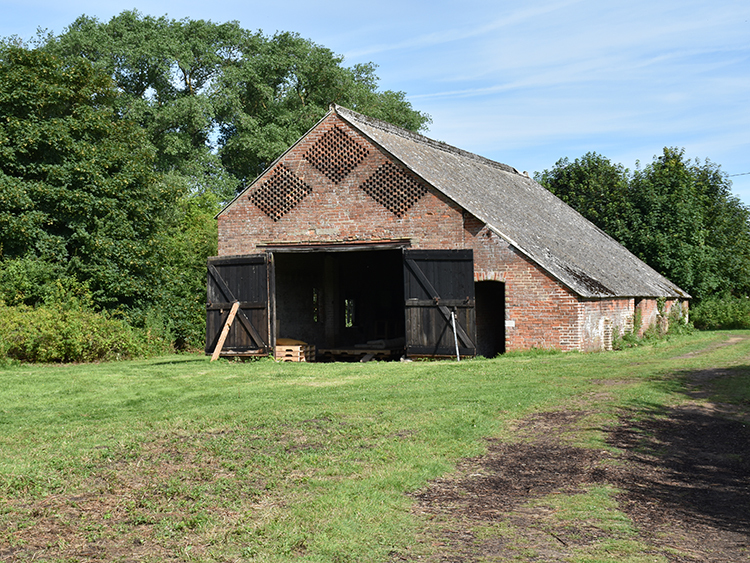 The resulting “working clay” was then thrown by hand, into wooden moulds and the wet brick was tipped out onto drying racks in the large drying sheds. The wet brick had to dry for a further period before it was ready to go into the kiln. 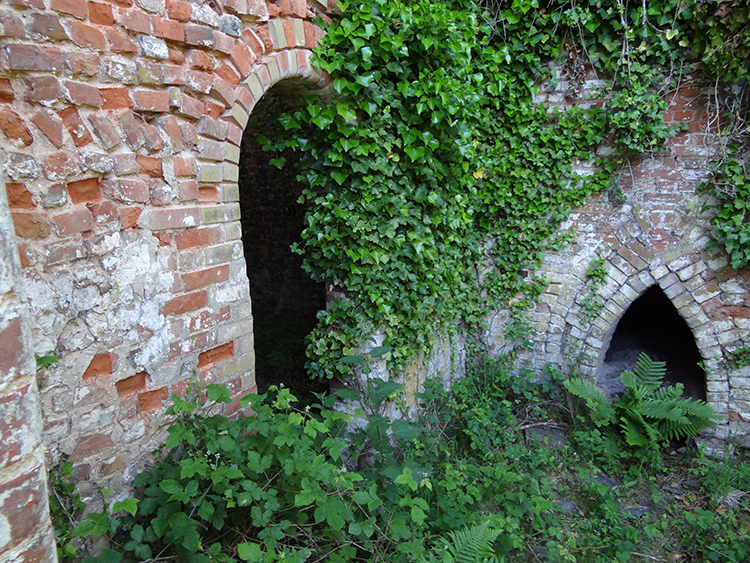 There is good evidence that underground ducts from the kiln itself, could be regulated to supply heat to the drying shed so bricks could be dried in winter. The kiln was fired with coal brought in on a railway siding right up to the coal store next to the kiln. Due to the length of the ovens, some 20-25 ft, the coal was “Bowled” not shovelled into the oven under the kiln. The 3 mouths of the oven are called the Bowling holes, men would literally bowl the lumps of coal right to the back, further than shovelling could have gone. The same railway siding that brought the coal then took wagons loaded with bricks, back to the cargo line for a connection up to Wells and Cromer. There was a weigh bridge on site so if you knew the weight of the wagon and the weight of a brick you could calculate the number of bricks in each wagon. 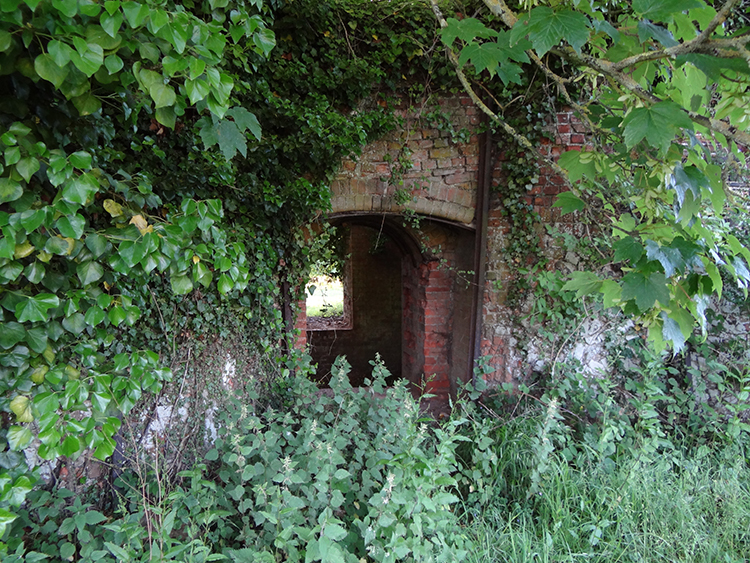 We love these old arches, especially the fact that they are being reclaimed by nature. This photo shows that this one could easily be turned into a communal cooking area. We love the way nature is winning this place back. 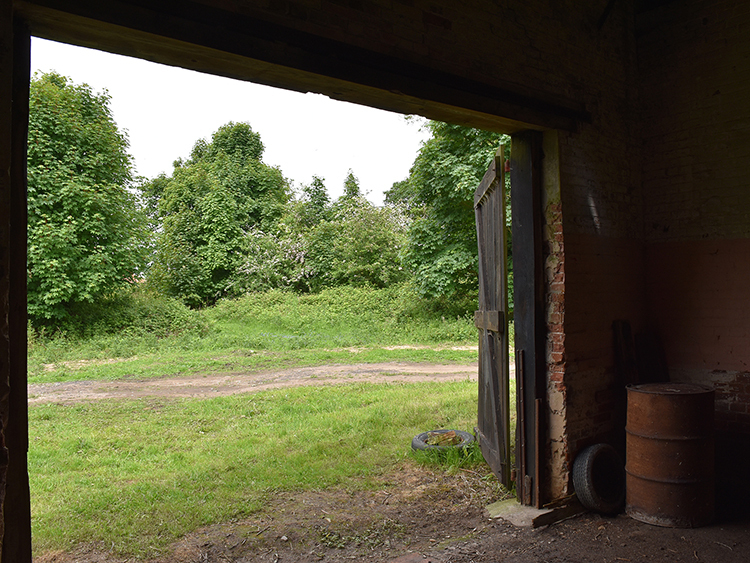 For a bit of covered communal space, this barn in the middle of the site makes an excellent all weather spot. 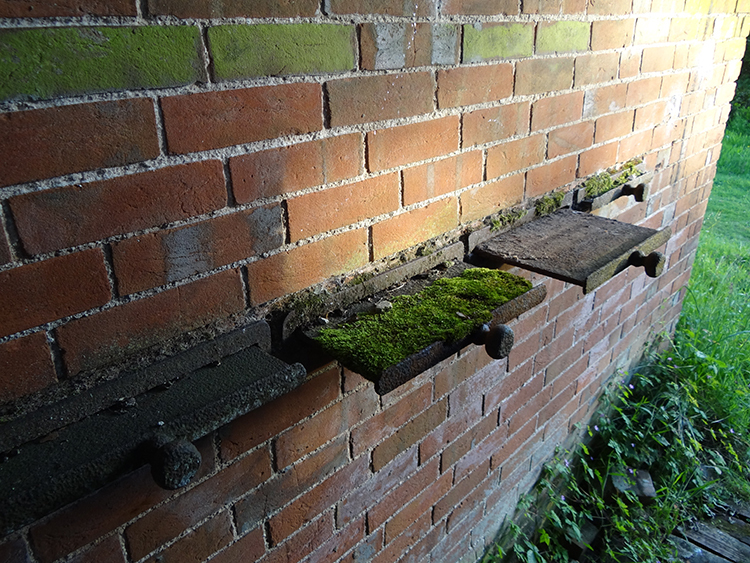 These damper plates are a remnant of the old brickmaking industry. They controlled the flow of heat into one of the drying sheds. The German potter made several very lovely pots which caught the eye of the foreman’s two son’s who were young teenagers at the time. They asked if the POW could teach them to make pots which he did. When the two sons grew up they asked the Earl of Leicester if they could start a pottery at Holkham. The Earl agreed and supplied them with a property for a studio. Much later and with the help of Lady Coke the Countess of Leicester, their studio became Holkham Pottery which sold pots and ceramics across the world.